The Yorkshire & Humber AHSN is constantly horizon scanning to identify funding opportunities for industry and NHS organisations in order to facilitate collaboration and accelerate innovation in healthcare and, as new initiatives are launched they will be listed in the funding opportunities section of our website. In addition, we also send a monthly funding bulletin via email, which contains the latest funding opportunities. If you would like to sign up to receive this then please email: Sophie.bates@yhahsn.com. External funding and investment is often the key to unlocking innovation implementation within the NHS. However, there is a wide range of potential sources and types of funding depending on factors such as who is seeking funding (e.g. NHS organisation, academia, industry, voluntary sector), the amount of funding sought, the purpose of funding sought (e.g. research, development, demonstration, commercialisation or evaluation), the size and stage of business growth (e.g. 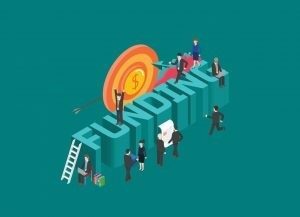 early stage or established) and whether the applicant is seeking grant funding, match funding to investment with intention to payback with a return.